I first heard about this RKO Pictures movie in the book, Diesels West! by David P. Morgan (Kalmbach Publishing, 1963, LOC #62-19987). 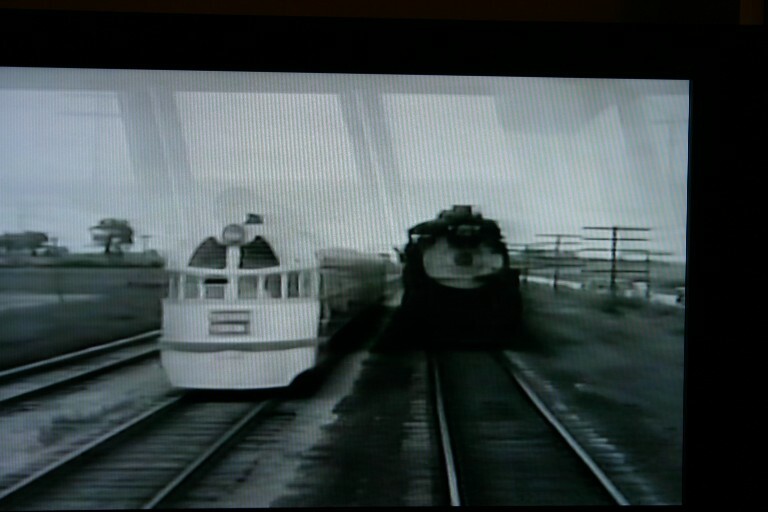 On page 64, there is a picture of the Burlington Railroad’s original 1934 streamliner, Pioneer Zephyr, with a Silver Streak nameplate being filmed with crew, camera and mike booms visible. “In September 1934, No. 9900, temporarily renamed the Silver Streak, traveled to Hollywood to star in an RKO film of that title. Wallace W. Abbey wrote in Trains Magazine that “all characters, including the train, lived happily ever after.” The picture’s plot unfolded like this: Handsome young designer, in love with railroad president’s daughter, tries to sell president on newfangled streamlined train (i.e., the Silver Streak, alias the Zephyr) but is rebuffed…Train is built but at first experiences difficulty making 40 miles per hour and is ignominiously overtaken by steam engine on freight train. 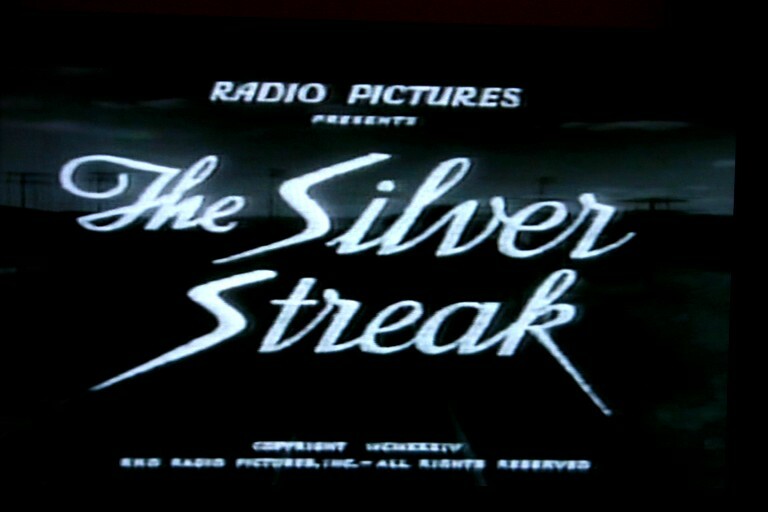 This film is not to be confused with the 1976 20th Century Fox picture Silver Streak, starring Gene Wilder which was filmed in Canada using Canadian Pacific Railway equipment from The Canadian. For years, I was unable to find anything further on this 1934 picture until the internet came along (Three Cheers for The Internet!!!). The Emporium Pictures link above sells quite a few old time railroad movies and is a great resource. I’ve also purchased the movies Union Station and Titfield Thunderbolt from this seller and have been very satisfied with his merchandise. This entry was posted in Uncategorized and tagged Burlington Railroad, Kalmbach Publishing, Pioneer Zephyr, RKO Radio Pictures, Silver Streak. Bookmark the permalink.